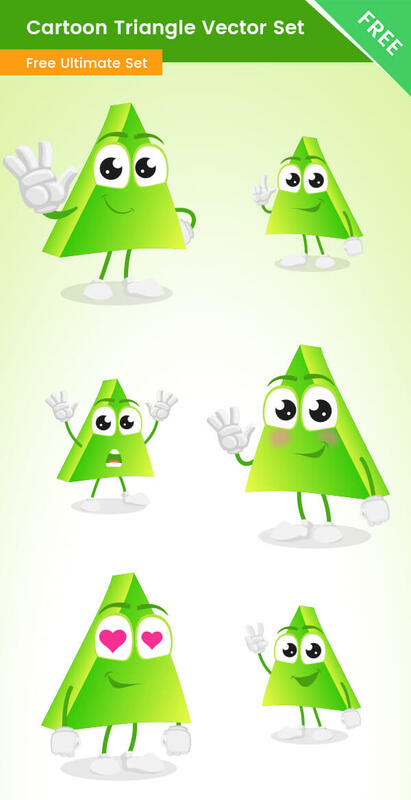 A cartoon triangle character made in a set of 6 poses. This triangle is made of vectors in a cute cartoon style, available for free download. This triangle is made in an eye-catching green color. Perfect for learning shapes and colors. This triangle is made in a set of poses, it is making a point, hello, being shy, inloved and more. The whole set is available for free download now.